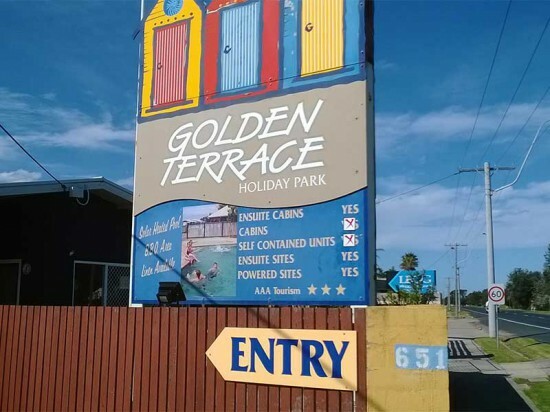 At Golden Terrace holiday park, we strive to ensure your holiday is a memorable one. Located just across the road from the impeccably calm waters of Cunningham Arm supporting all forms of water sport and children’s activities. Enjoy our solar heated pool or BBQ area while staying in one of our Deluxe Villa Units, Two Bedroom Flats, Self-Contained Cabins, or set-up at one of our powered/unpowered sites.